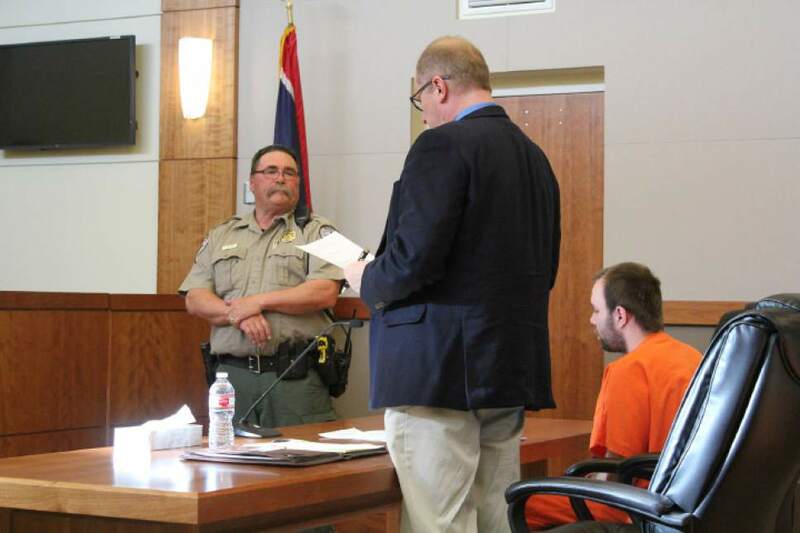 Wyoming court • "DJ" Harrison, who says slaying was his father's idea, faces life without parole in May 2016 death of 63-year-old Kay Porter Ricks. Rick Egan | The Salt Lake Tribune Ricks family spokesman Richard Massey is overcome by emotion as he talks to reporters about his friend Kay Ricks, outside the Wyoming's 3rd District Court in Kemmerer, after Dereck James "DJ" Harrison pleaded guilty to murder in the first degree while perpetrating a kidnapping and the kidnapping of Kay Porter Ricks. Monday, April 17, 2017. Flint Harrison Rick Egan | The Salt Lake Tribune Wyoming prosecutor Spencer Allred talks to reporters outside the Wyoming's 3rd District Court in Kemmerer, after Dereck James "DJ" Harrison pleaded guilty to murder in the first degree while perpetrating a kidnapping and the kidnapping of Kay Porter Ricks. Monday, April 17, 2017. 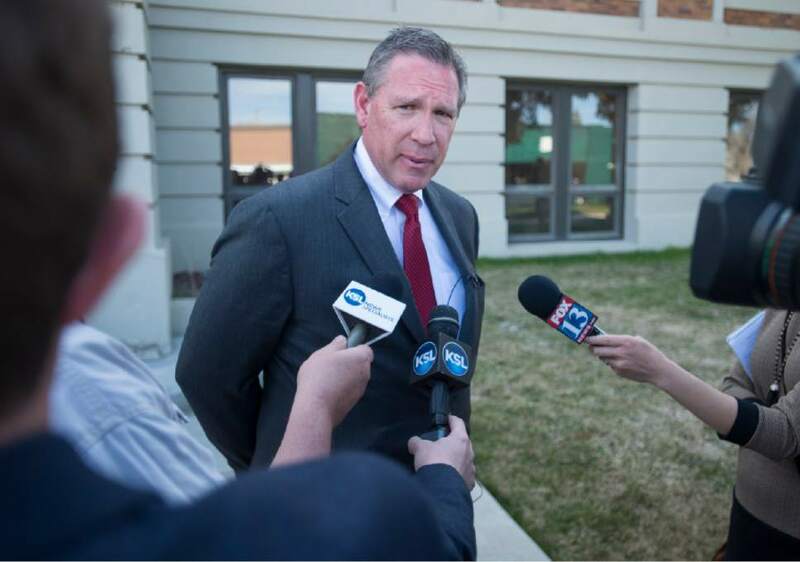 Rick Egan | The Salt Lake Tribune Wyoming prosecutor Spencer Allred talks to reporters outside the Wyoming's 3rd District Court in Kemmerer, after Dereck James "DJ" Harrison pleaded guilty to murder in the first degree while perpetrating a kidnapping and the kidnapping of Kay Porter Ricks. Monday, April 17, 2017. 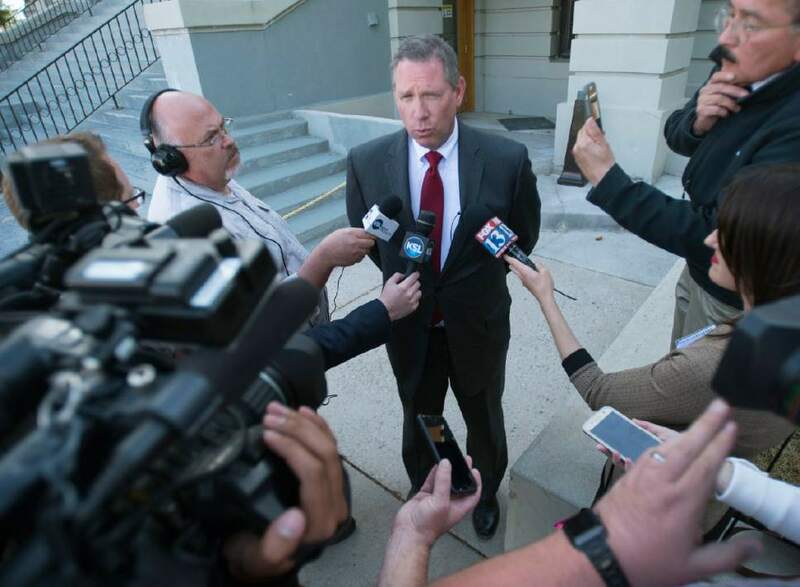 Rick Egan | The Salt Lake Tribune Ricks family spokesman Richard Massey talks to reporters outside the Wyoming's 3rd District Court in Kemmerer, after Dereck James "DJ" Harrison pleaded guilty to murder in the first degree while perpetrating a kidnapping and the kidnapping of Kay Porter Ricks. Monday, April 17, 2017. 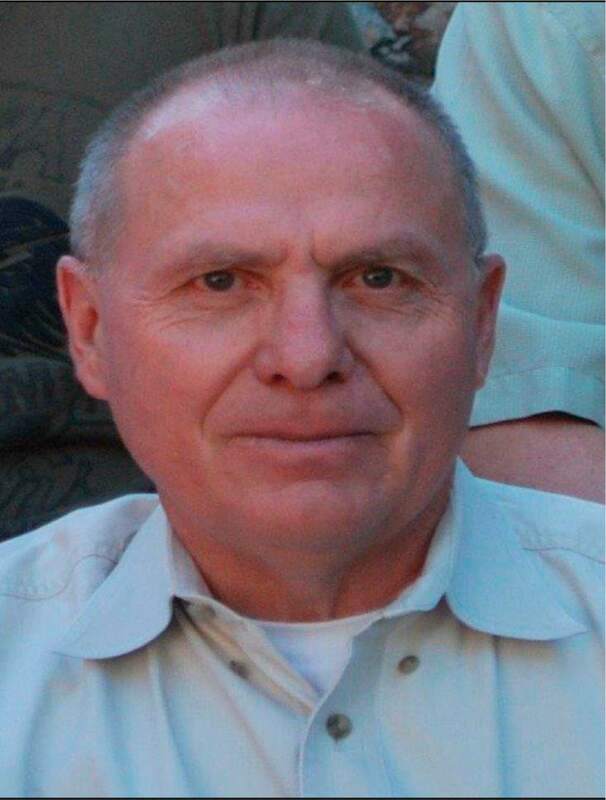 Courtesy | Utah Transit Authority Kay Porter Ricks, an electrician for the Utah Transit Authority, was buried Saturday. 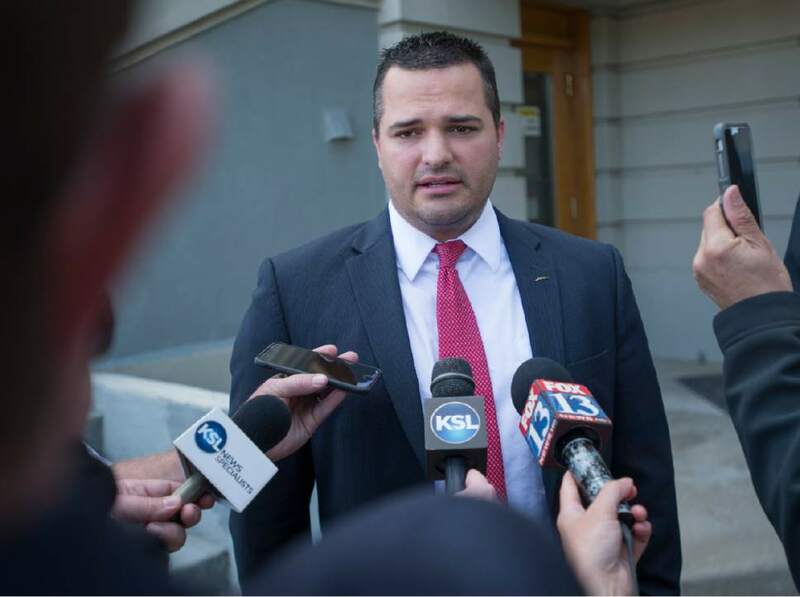 Rick Egan | The Salt Lake Tribune Dereck James "DJ" Harrison leaves Wyoming's 3rd District Court in Kemmerer, escorted by 6 members of the Lincoln County Sheriff's Department. Harrison pleaded guilty to two of the counts, murder in the first degree while perpetrating a kidnapping and kidnapping of Kay Porter Ricks. Monday, April 17, 2017. 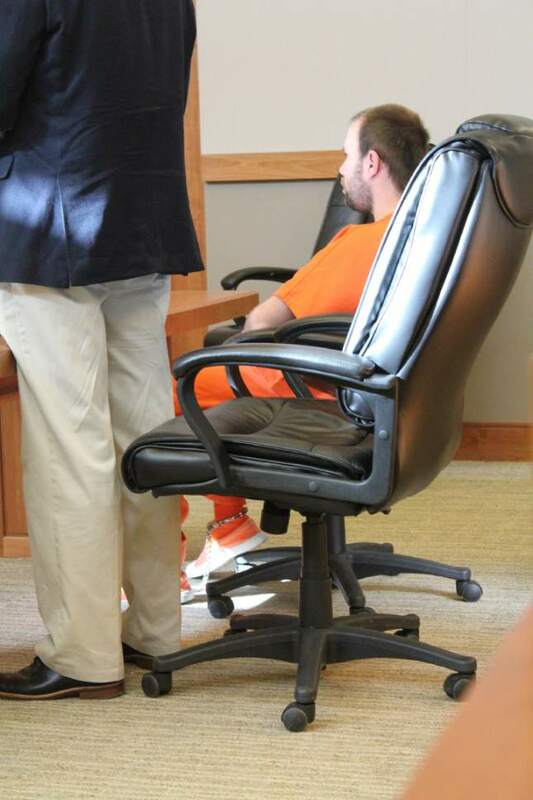 Kay Ricks Michelle Tibbetts | Kemmerer Gazette Derek James "DJ" Harrison appears in court in Kemmerer, Wyo, on Thursday, March 30, 2017. Michelle Tibbetts | Kemmerer Gazette Derek James "DJ" Harrison appears in court in Kemmerer, Wyo, on Thursday, March 30, 2017. 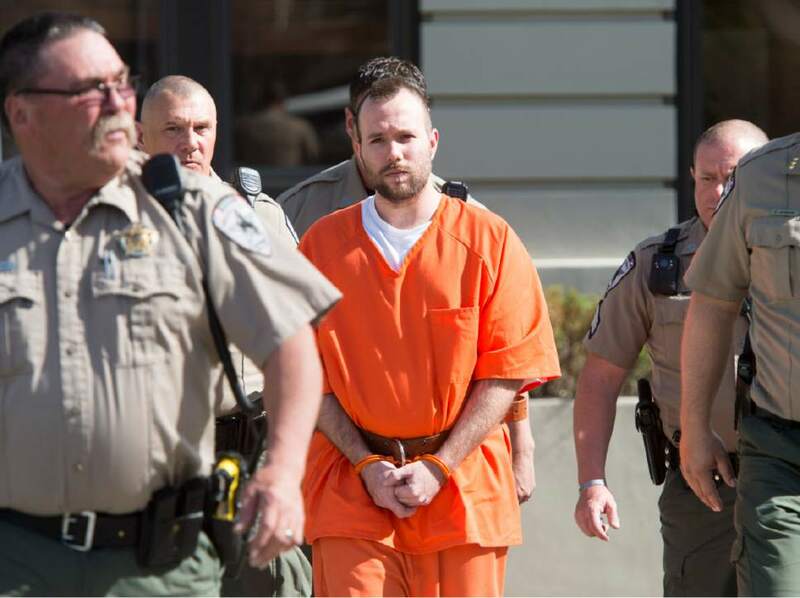 Rick Egan | The Salt Lake Tribune Dereck James "DJ" Harrison leaves Wyoming's 3rd District Court in Kemmerer, after he pleaded guilty to two of the counts, murder in the first degree while perpetrating a kidnapping and kidnapping. Monday, April 17, 2017. Rick Egan | The Salt Lake Tribune Ricks family spokesman Richard Massey talks to reporters outside the Wyoming's 3rd District Court in Kemmerer, after Dereck James "DJ" Harrison pleaded guilty to murder in the first degree while perpetrating a kidnapping and the kidnapping of Kay Porter Ricks. Monday, April 17, 2017. 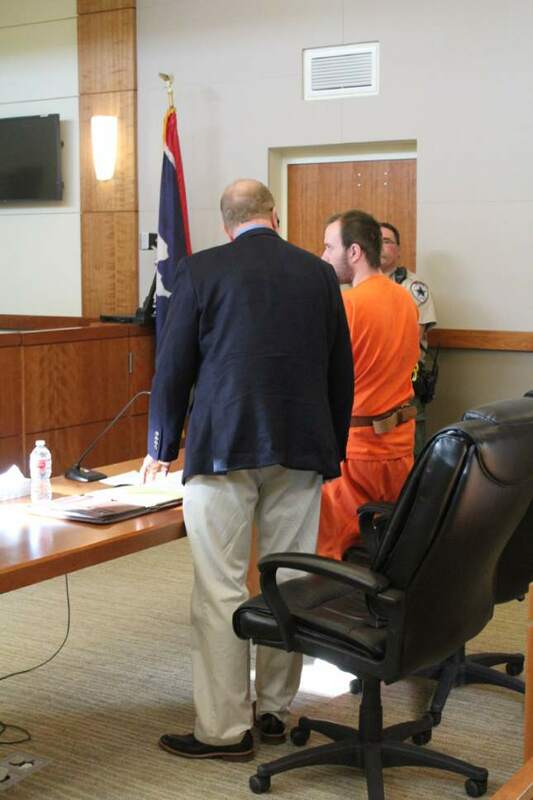 Michelle Tibbetts | Kemmerer Gazette Derek James "DJ" Harrison appears in court in Kemmerer, Wyo, on Thursday, March 30, 2017. Michelle Tibbetts | Kemmerer Gazette Derek James "DJ" Harrison appears in court in Kemmerer, Wyo, on Thursday, March 30, 2017. 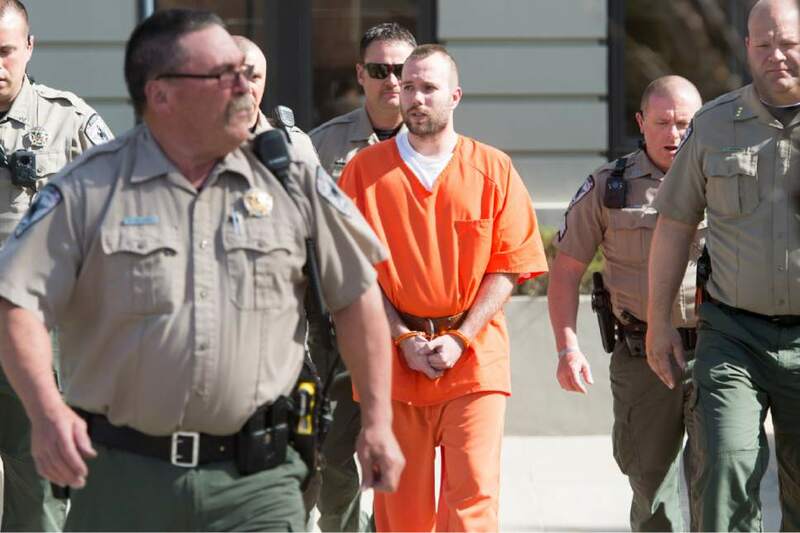 Rick Egan | The Salt Lake Tribune Dereck James "DJ" Harrison leaves Wyoming's 3rd District Court in Kemmerer, escorted by 6 members of the Lincoln County Sheriff's Department. Harrison pleaded guilty to two of the counts, murder in the first degree while perpetrating a kidnapping and kidnapping of Kay Porter Ricks. Monday, April 17, 2017. Kemmerer, Wyo. 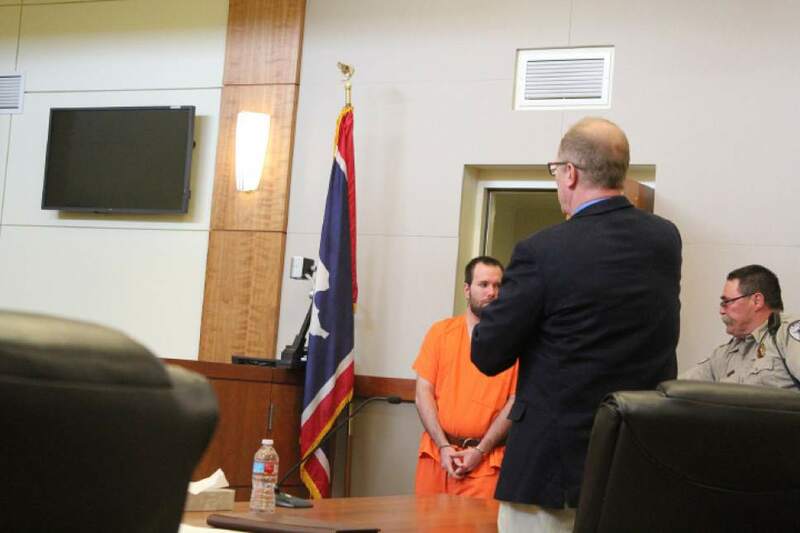 • Even as he pleaded guilty Monday to kidnapping and killing a Utah Transit Authority worker last year, Dereck James "DJ" Harrison shifted much of the blame to another man: his now-deceased father. After pleading guilty in a Wyoming courtroom to murder in the first degree while perpetrating a kidnapping, along with a second charge of kidnapping, Harrison told the court that it was his father, 52-year-old Flint Wayne Harrison, who decided they would steal a UTA maintenance truck and kidnap 63-year-old Kay Porter Ricks in South Salt Lake on May 12, 2016  while they were on the lam for kidnapping a Centerville family. And it was Flint Harrison, he said, who brought a violent end to Ricks&apos; life on a rural road in Wyoming. DJ Harrison&apos;s admissions and detailed account of the last day of Ricks&apos; life were given as part of a plea deal with prosecutors, who opted not to seek the death penalty against the younger Harrison. He is expected to be sentenced on May 17 to life without parole on the homicide count, to run consecutively with a 20- to 22-year prison term for the kidnapping count. 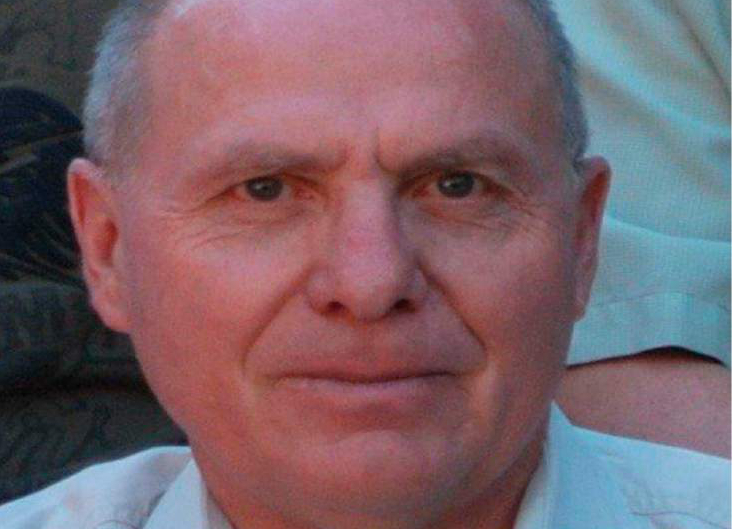 Flint Harrison hanged himself in a Davis County jail cell in July. His son on Monday blamed his father for much of their May 2016 crimes that began with the kidnappings at a Centerville home  an event DJ Harrison said he had little memory of because he was under the influence of drugs  and ended with a manhunt and their arrests in the Half Moon Lake area near Pinedale, Wyo. After the kidnappings, DJ Harrison said, he and his father fled to South Salt Lake and stayed at a hotel near 2400 South and State Street. It was there that they spotted Ricks&apos; work truck, and Flint Harrison decided they should take it. "He pulled the guy out the vehicle," DJ Harrison recalled, adding that there was a struggle to get Ricks out of the vehicle. The son said he pushed Ricks&apos; knee to brake the vehicle and slammed the gearshift into park from the passenger&apos;s side as his father pulled Ricks from the driver&apos;s side. They tied Ricks&apos; hands behind his back, DJ Harrison said, and put him in the back of the cab. Then, the defendant said Monday, they began a "pretty uneventful" drive to Wyoming. When they stopped near a dirt road in the high desert of Wyoming, south of Kemmerer, DJ Harrison explained that he thought they had decided to leave Ricks on the side of the road and let him walk until he found a ride. "I went back [to the truck] to grab his jacket," DJ Harrison said, "and I turned around and saw my father slitting his throat." The son said he scuffled with his father and argued with him, but that Flint Harrison continued his assault on Ricks and hit him in the head with a metal rod four or five times. "You didn&apos;t defend Mr. Ricks?" asked 3rd District Judge Joseph Bluemel. "No, I didn&apos;t," DJ Harrison replied. After the killing, DJ Harrison said he and his father drove to Kemmerer, went through a drive-thru to get food and continued on to Pinedale. The plan was to "live off the land" for a while, he said. His father went inside his home there, DJ Harrison told the judge, and gathered weapons and tactical gear for them. They hiked around the area for more than two days before police found them. DJ Harrison said he woke up on May 14 and saw a helicopter overhead. "I realized I wasn&apos;t going to get away from this," he said Monday, adding that he then left his weapons behind, walked to a road and surrendered to police. As he recounted the events, DJ Harrison spoke matter-of-factly and showed little emotion. Richard Massey  Ricks&apos; friend acting as the Ricks family&apos;s spokesman  hung his head and cried as the defendant gave the detailed account Monday. 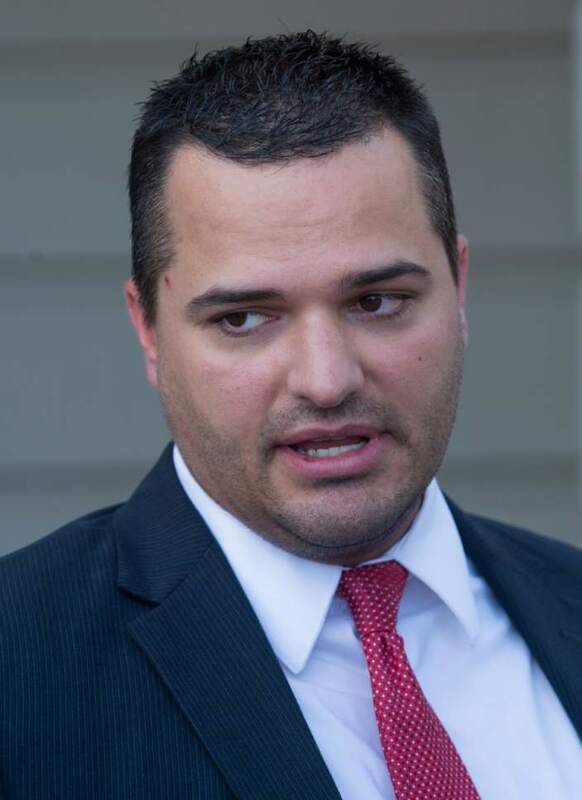 After the hearing, he said the details that DJ Harrison shared were shocking. 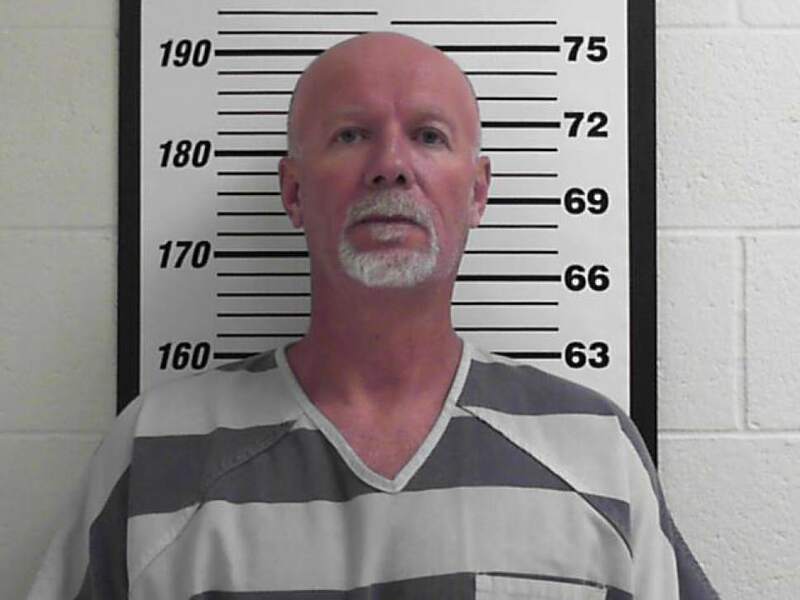 He recalled watching DJ Harrison pleading guilty and receiving his sentence for the Davis County kidnappings, and he said at that time that he thought the defendant may not have been a willing party to the crimes. But Massey said he changed his thinking after seeing DJ Harrison led into court Monday, his hair cut into a mohawk. He watched as DJ Harrison winked at someone in the gallery  something that his father did during his first court appearance last year. "I realized we were not dealing with a contrite secondhand player in this horrible, horrible event," Massey said. "He is a brutal, careless, reckless murderer who took the life of a good, loving husband, father and grandfather." Ricks&apos; family, Massey said, is "so, so grateful" that the case could be resolved without going to trial. He called Flint Harrison a coward for committing suicide in jail. "He took a safe and cowardice way out," Massey said. "[It was] the ultimate act of selfishness of leaving his son to answer for everything." 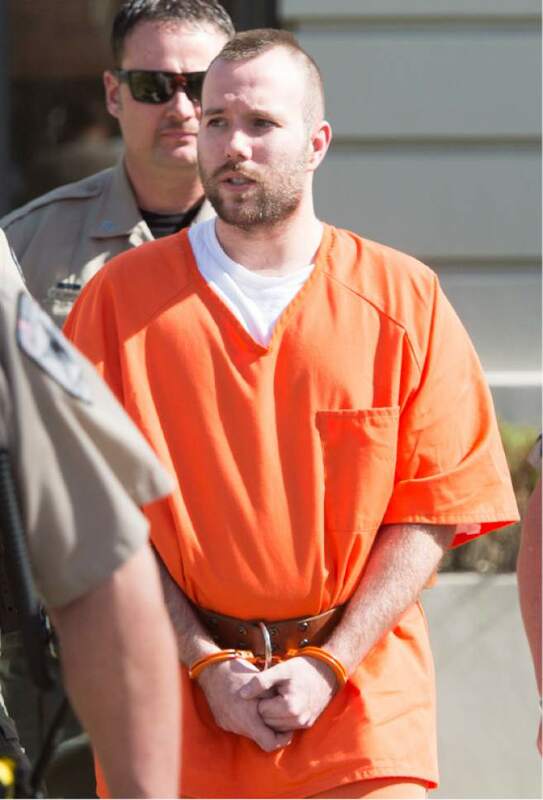 Lincoln County Attorney Spencer Allred said Monday that prosecutors opted to not seek DJ Harrison&apos;s execution because he was the "secondary actor" in the killing. 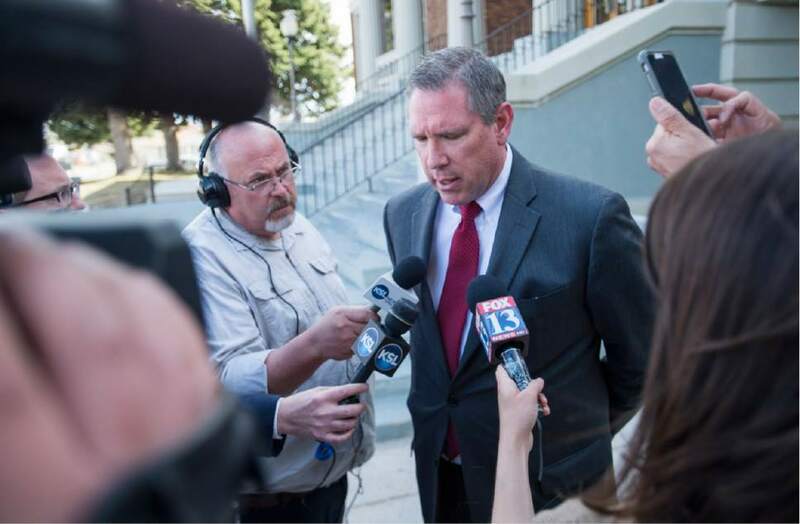 "Dereck Harrison certainly participated in this crime," Allred said. "I would not say that he was the main actor. We do believe Mr. Flint Harrison, his father, was the main perpetrator in this."